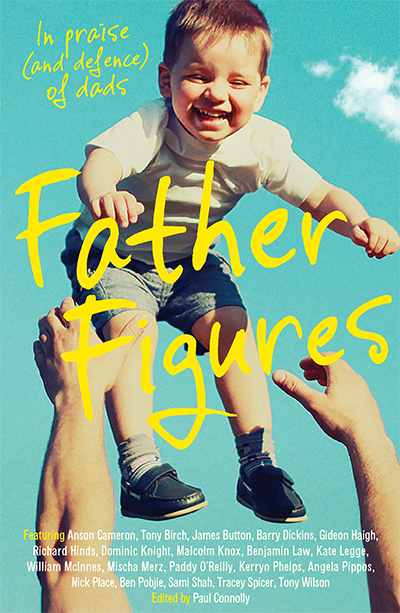 Twenty of Australia’s brightest and funniest writers share the joys, hazards and mysteries of fatherhood and how we all relate to ‘dad’. The shape of the family tree has changed irrevocably in recent decades, and there is no such thing as a ‘typical dad’ anymore (though dad jokes like cockroaches, never seem to die). From the grim archetype of the emotionally distant father to the bumbling man-child who’s a pair of underpants away from being an ape, there has never been more freedom for men to choose what sort of dad they want to be. Or, for that matter, so many opportunities to stuff it up. Anson Cameron, Tony Birch, James Button, Barry Dickins, Gideon Haigh, Richard Hinds, Dominic Knight, Malcolm Knox, Benjamin Law, Kate Legge, William McInnes, Mischa Merz, Paddy O’Reilly, Kerryn Phelps, Angela Pippos, Nick Place, Ben Pobjie, Sami Shah, Tracey Spicer, Tony Wilson.